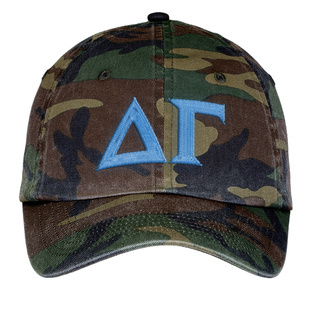 "Bring Service to Sight!" 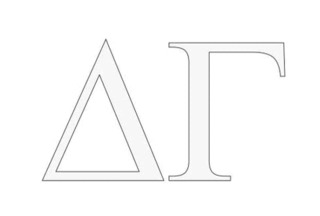 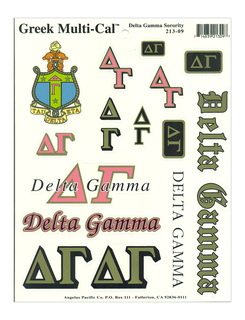 Delta Gamma is the oldest and largest sorority. 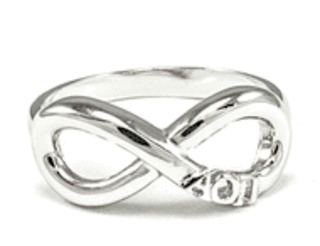 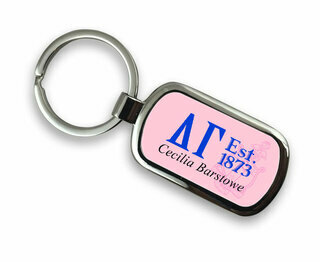 It was founded in 1873 by three young ladies at the Lewis School for Girls in Oxford, Mississippi. 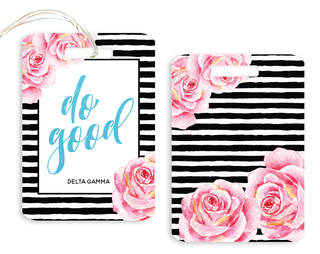 Mary Comfort Leonard, Eva Webb Dodd and Anna Boyd Ellington based Delta Gamma on a simple ideal; "Do Good." 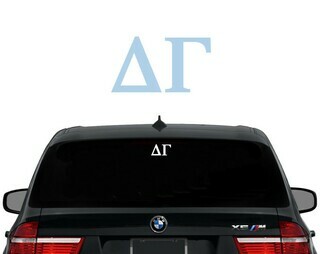 And that is what its members past and present strive to do. 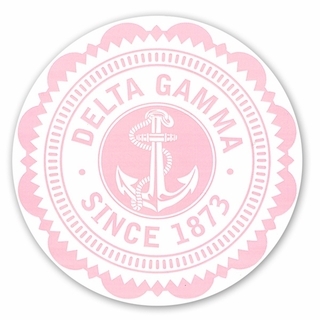 Today, Delta Gamma boasts more than 230,000 members in chapters at universities in the United States and Canada. 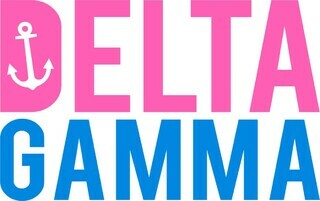 Most alumni remain active in Delta Gamma, which spreads the motto of the sorority all across the globe. 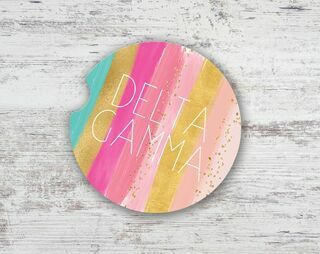 Quite a few well-known ladies have worn the bronze, pink and blue of Delta Gamma: former "Good Morning America" host Joan Lunden for example and actress Julia Louis-Dreyfus. 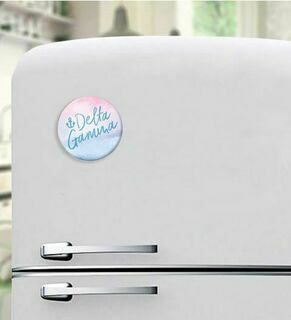 The Emmy-winning performer is, of course, best known for her portrayal of Elaine on the hit 1990s comedy, "Seinfeld." 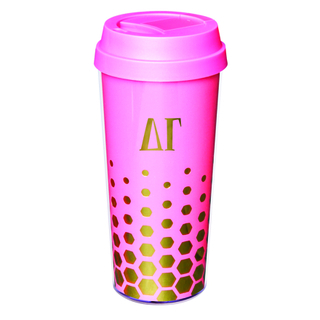 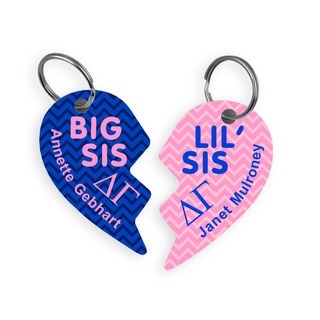 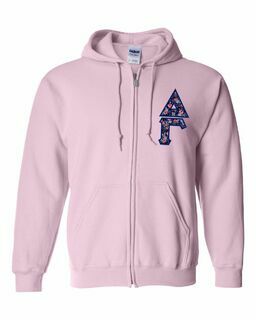 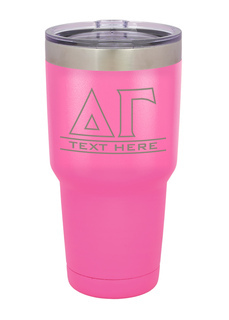 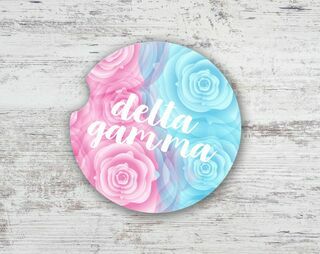 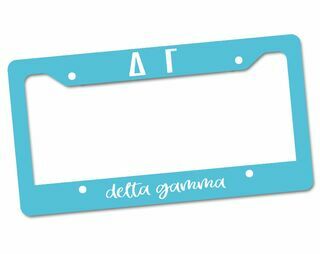 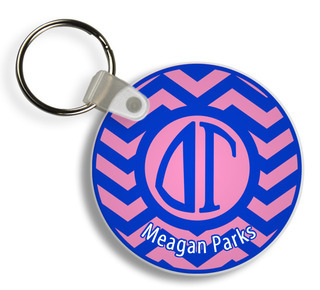 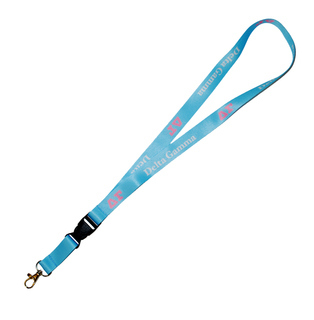 Bronze, pink and blue never goes out of style as far as Delta Gamma members are concerned and thanks to Greek Gear, there are so many ways to express it. 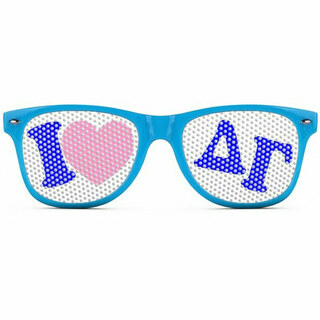 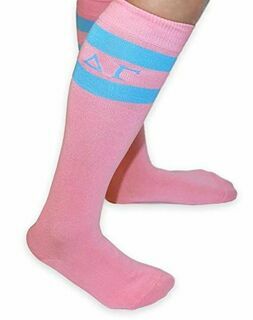 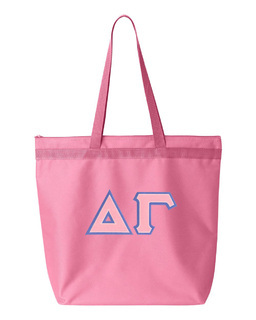 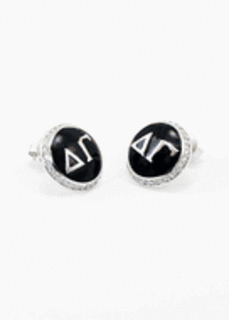 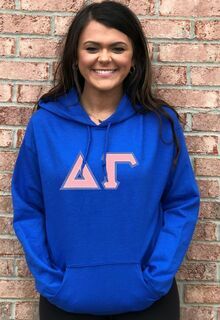 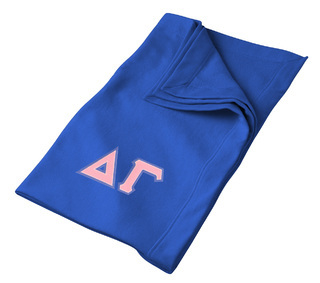 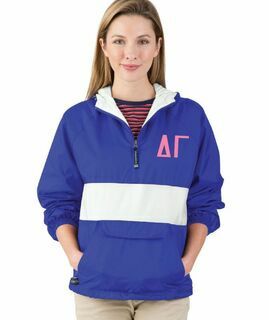 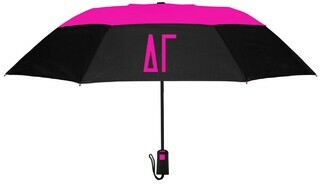 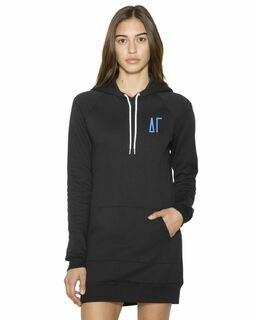 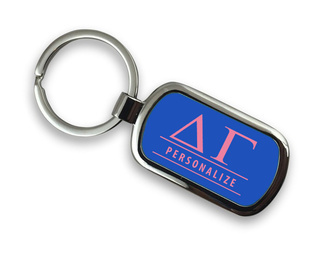 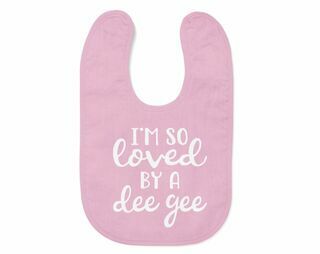 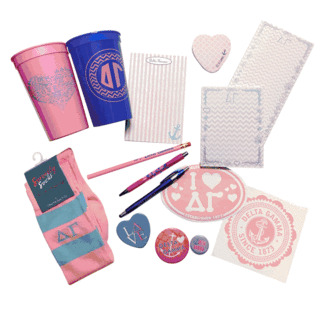 Greek Gear offers sorors an array of Delta Gamma apparel that makes it easy and fun to keep Delta Gamma in your life whether you are a new addition or a seasoned alumnus. 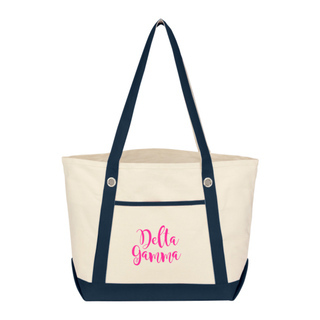 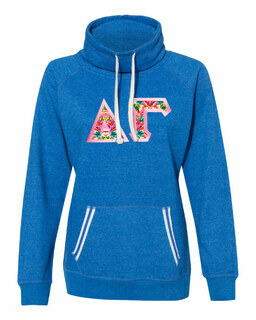 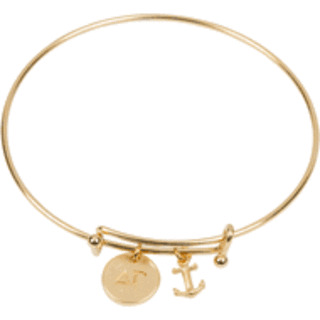 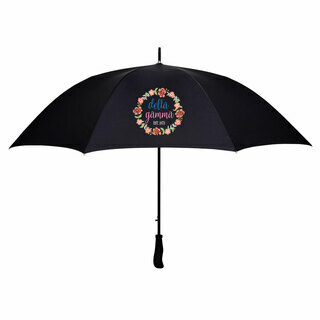 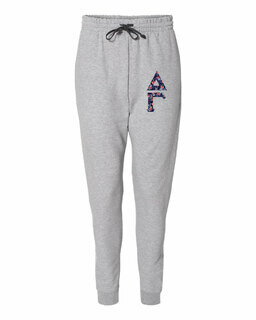 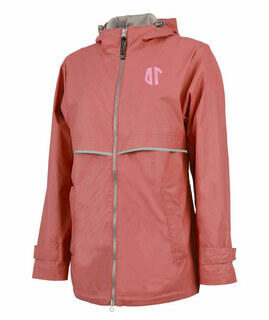 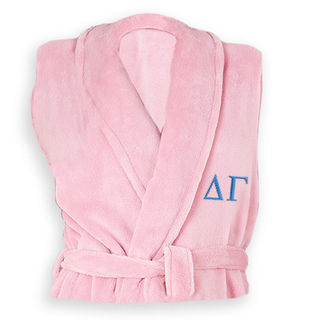 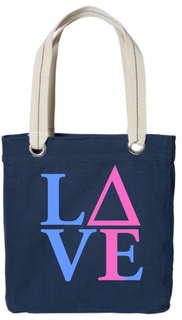 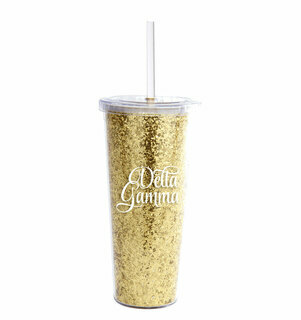 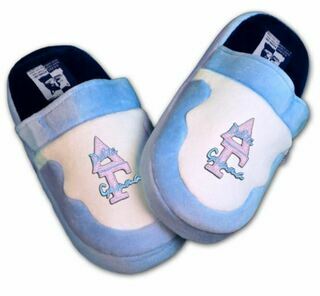 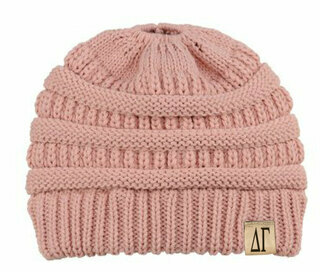 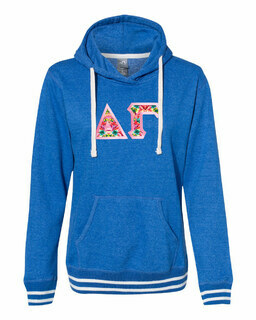 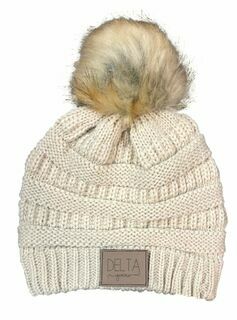 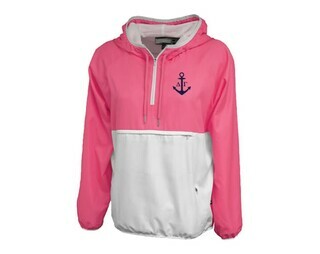 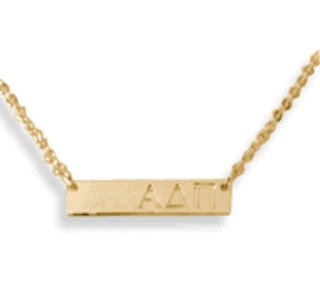 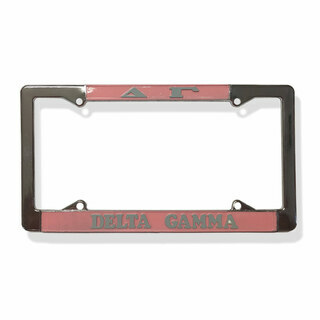 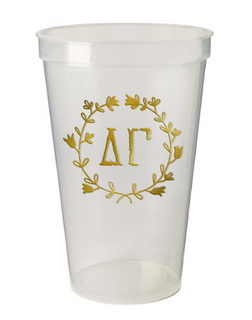 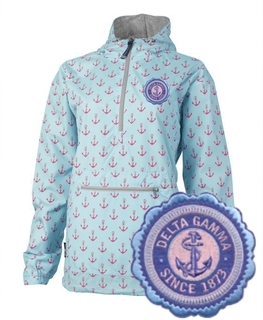 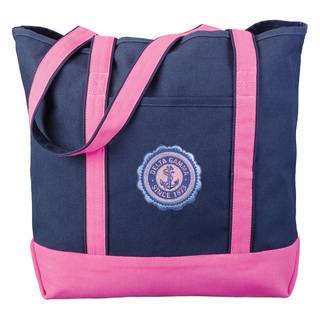 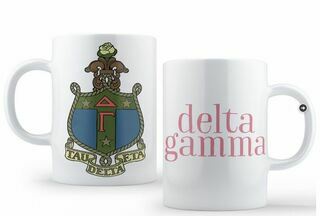 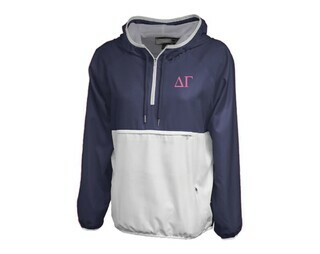 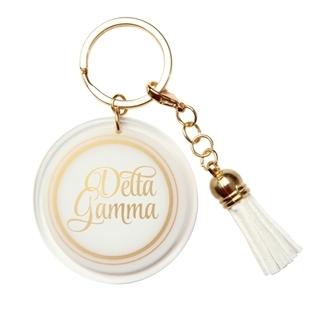 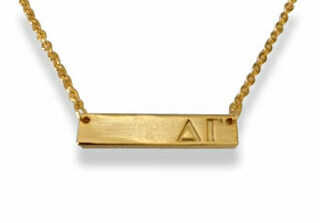 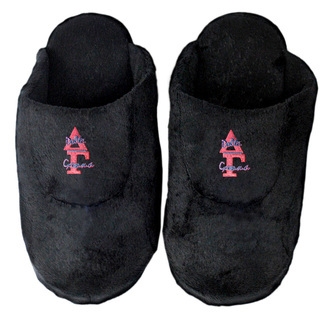 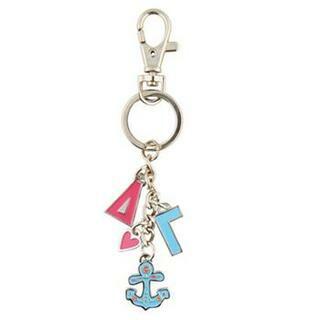 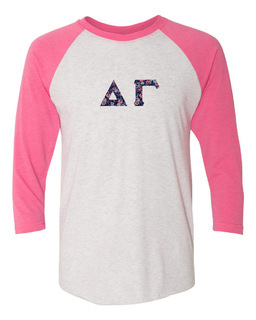 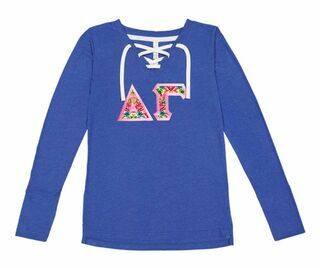 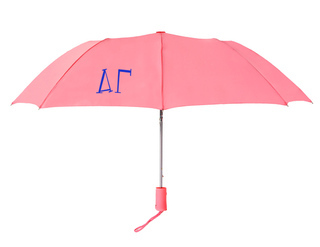 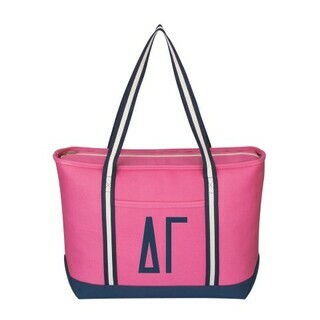 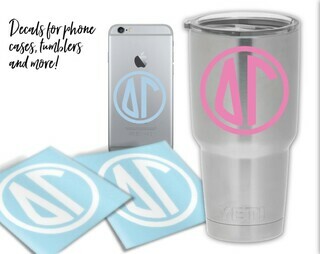 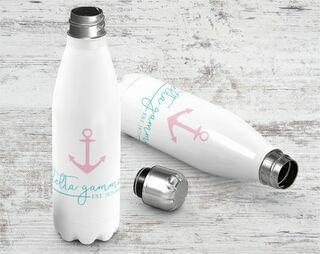 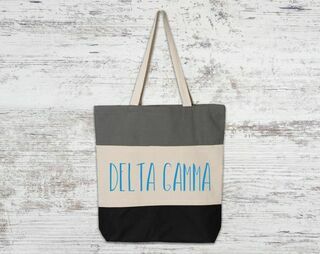 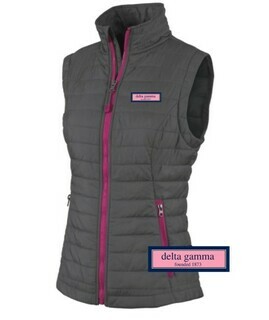 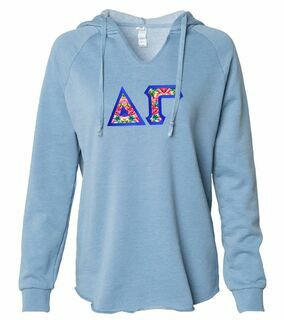 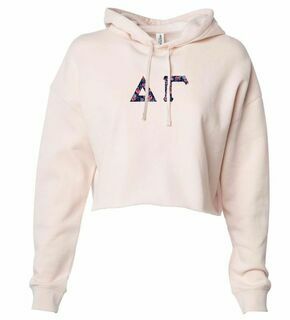 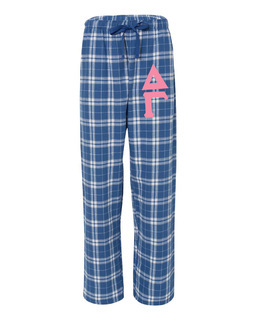 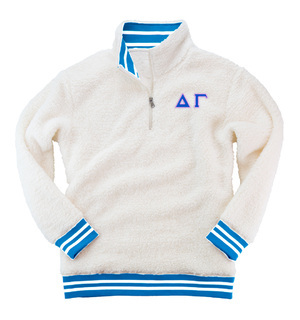 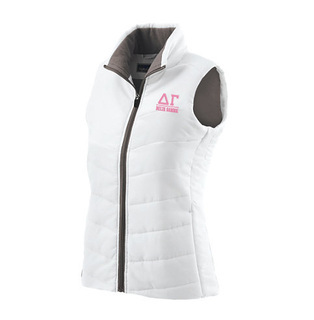 So many of the Delta Gamma gear makes for original gift ideas. 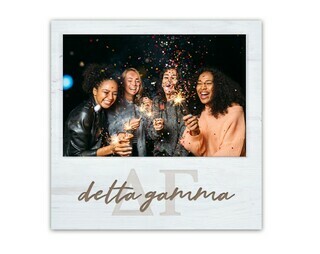 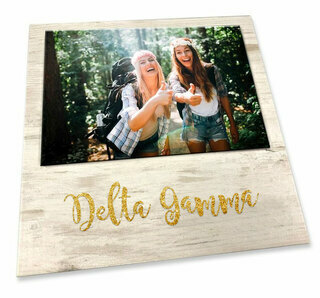 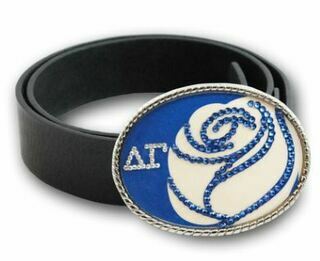 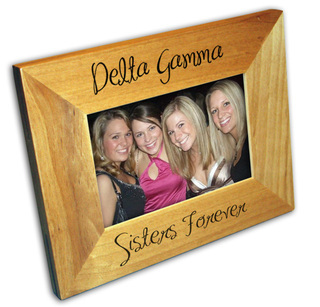 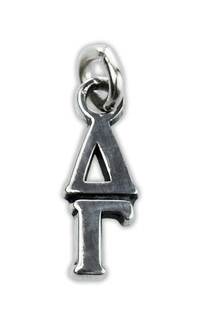 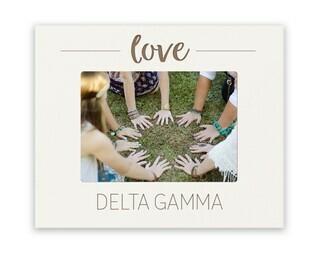 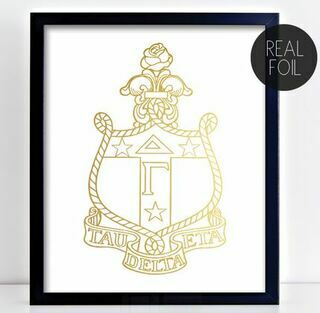 Wrap up a Delta Gamma frame with a photograph of a special sorority moment as a present for a sister. 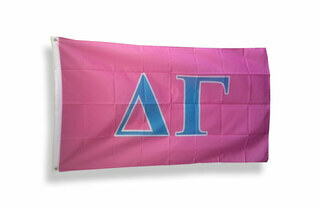 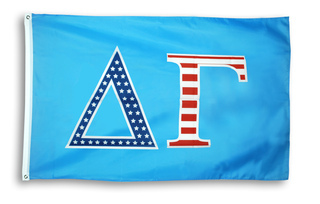 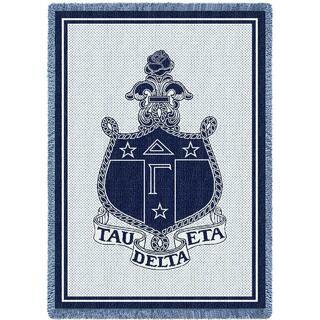 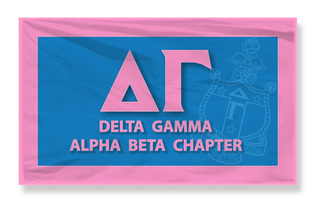 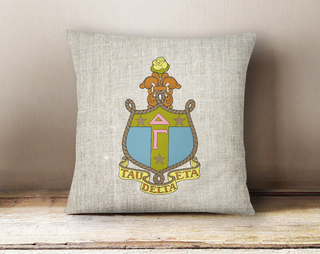 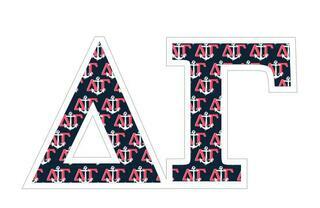 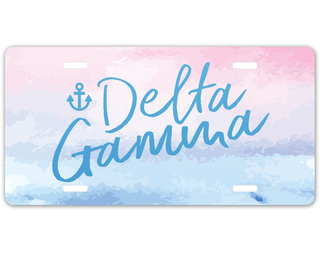 Dress up a new apartment of dorm room with a Delta Gamma flag. 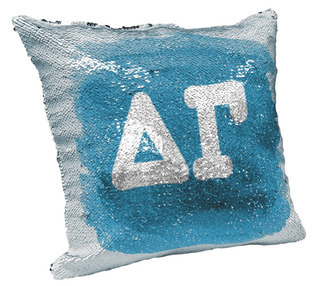 Throws and pillows are ideal house-warming gifts. 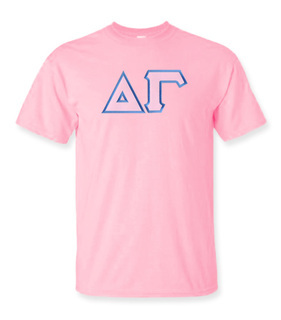 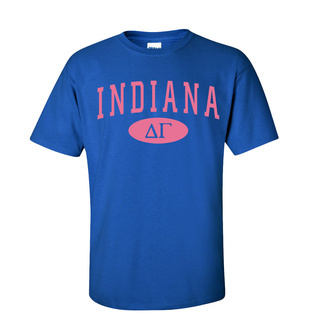 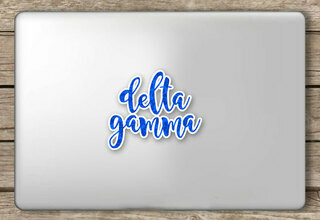 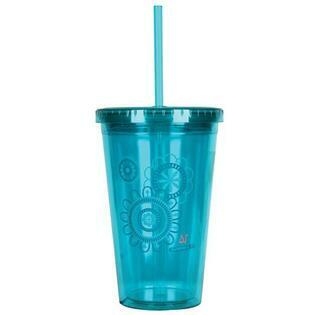 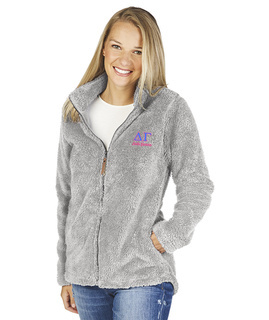 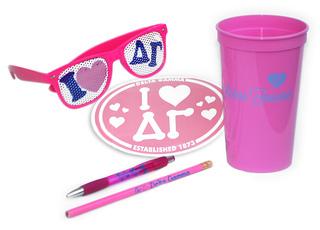 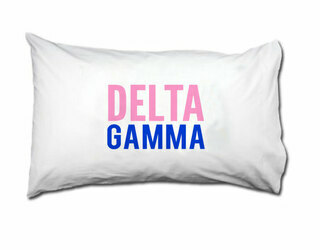 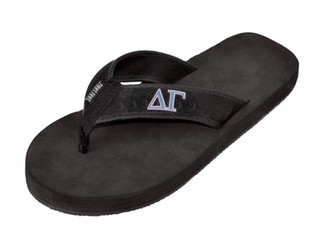 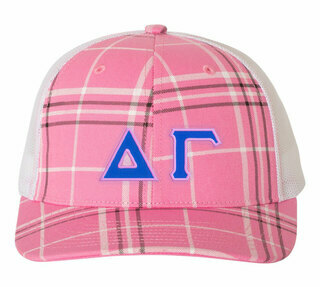 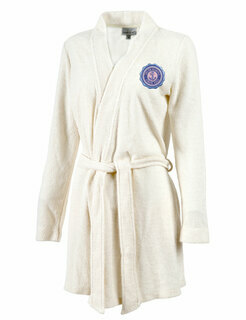 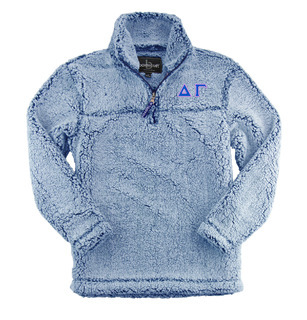 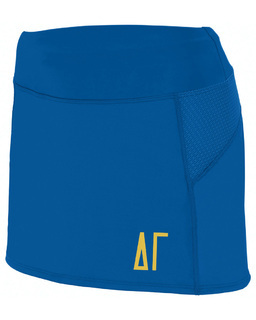 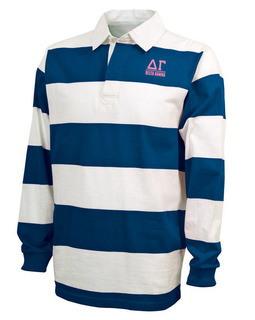 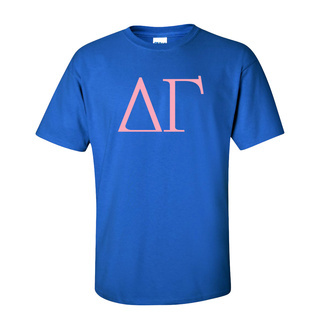 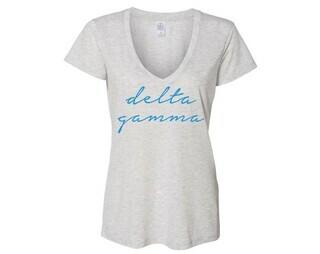 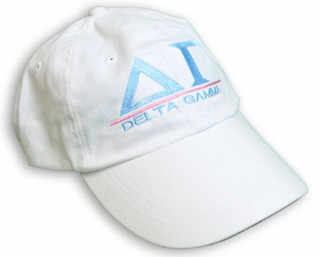 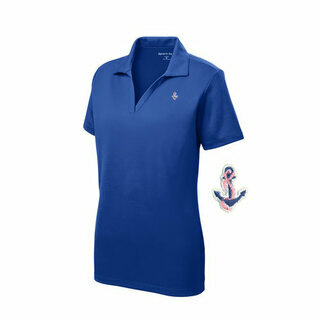 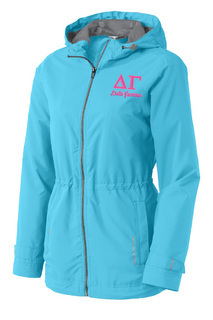 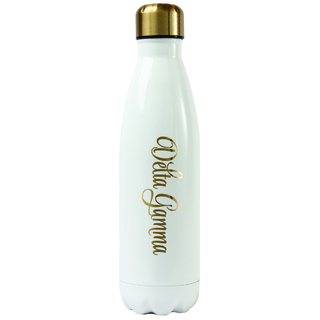 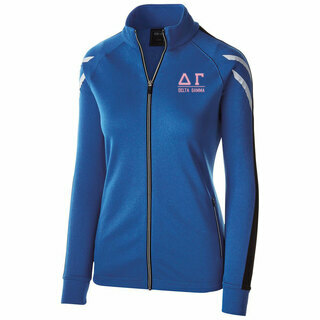 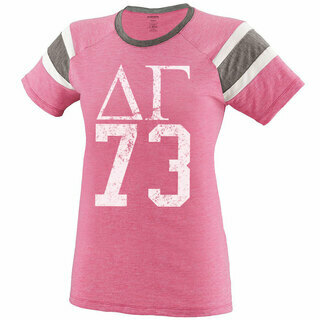 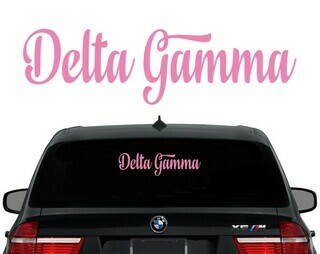 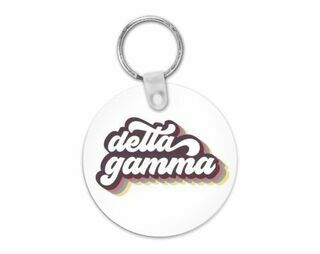 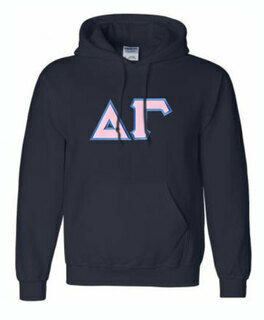 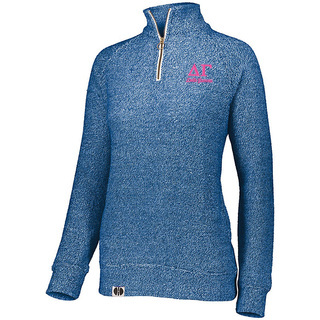 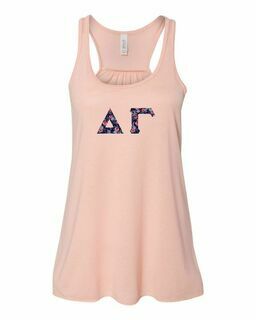 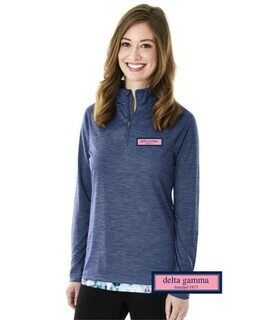 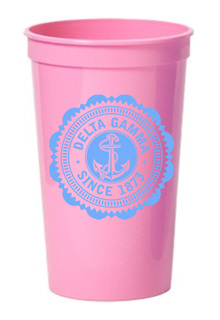 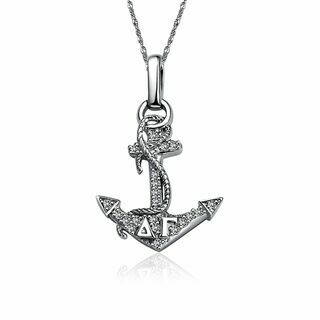 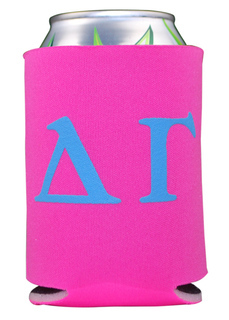 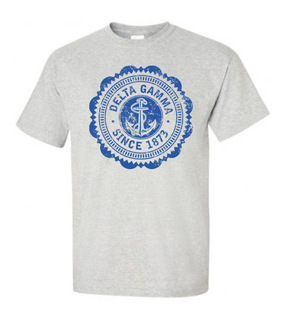 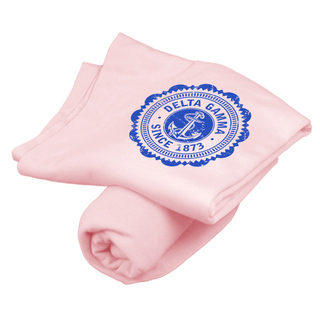 Of course, Delta Gamma apparel is as popular with collegiate members as it is with alumni. 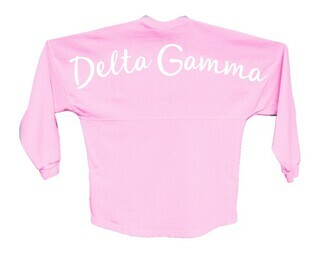 Thankfully, Greek Gear has a collection of clothing that includes tops, bottoms, pullovers and even vests that transcend the years. 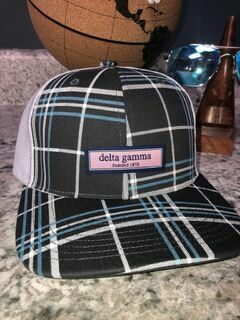 Love hats? 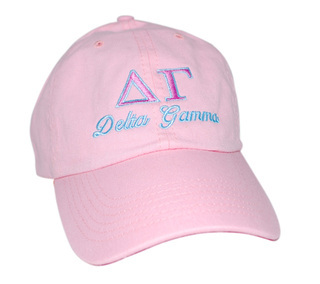 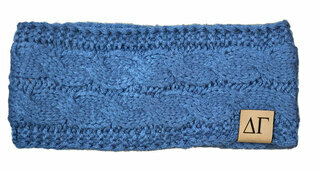 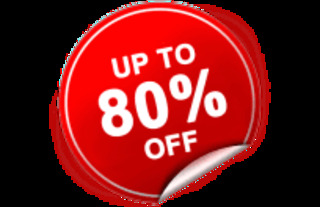 Greek Gear offers a fun selection of headwear also. 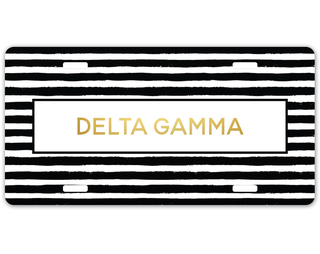 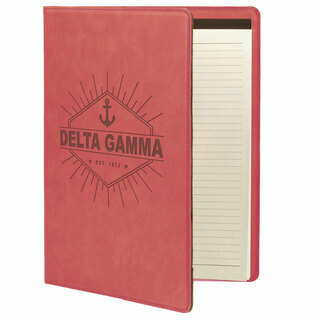 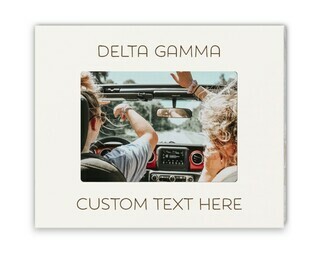 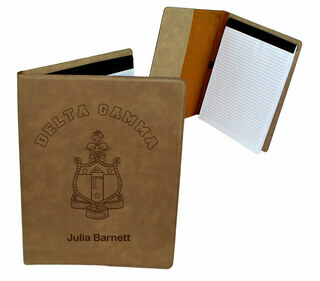 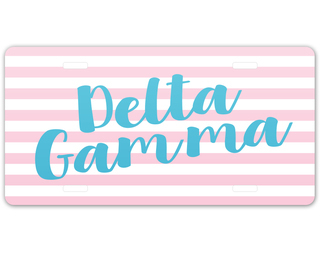 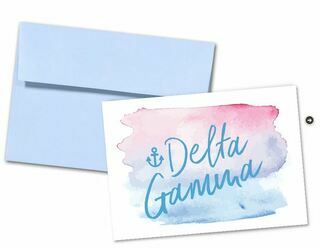 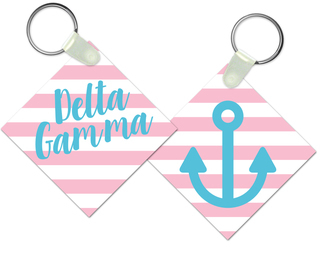 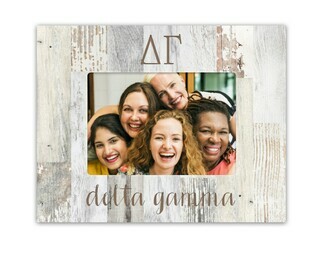 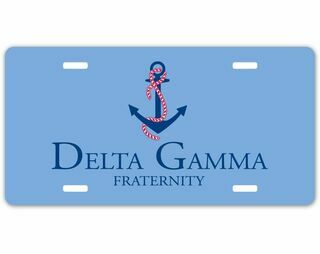 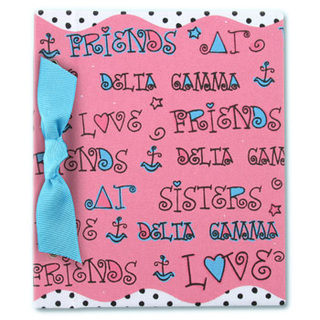 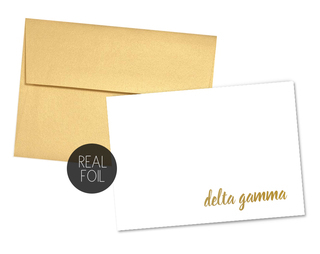 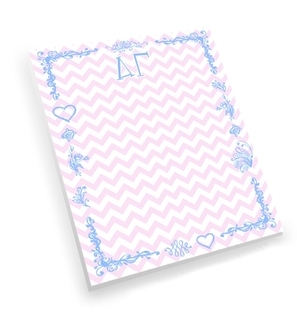 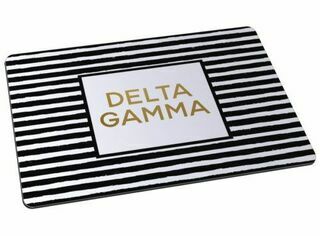 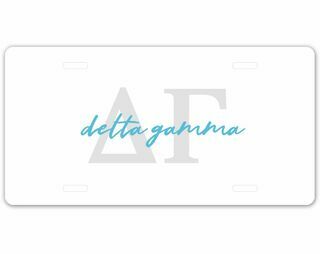 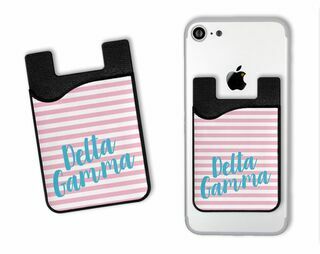 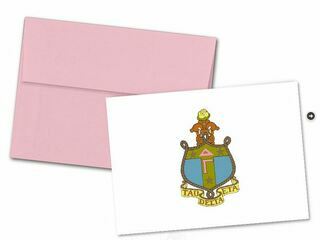 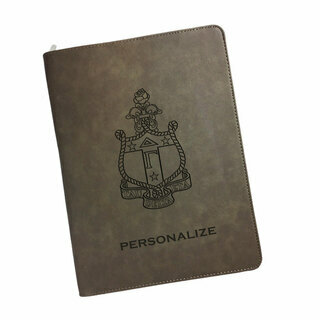 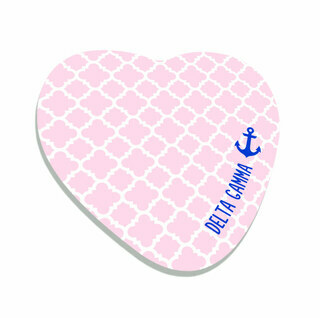 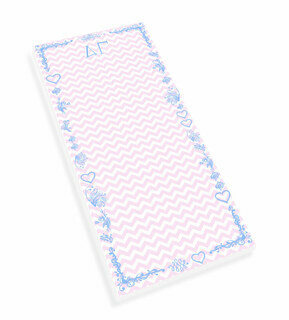 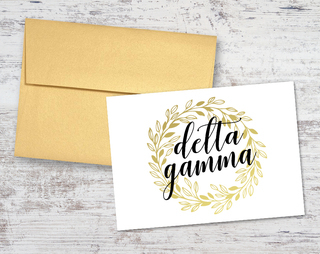 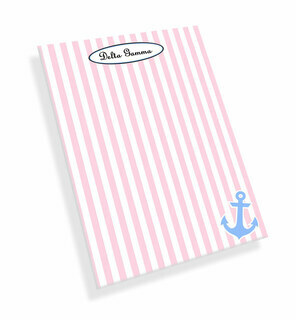 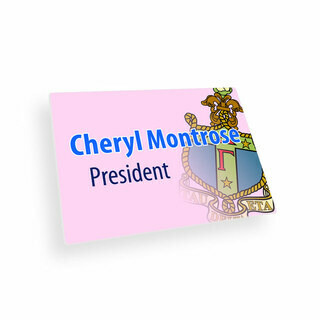 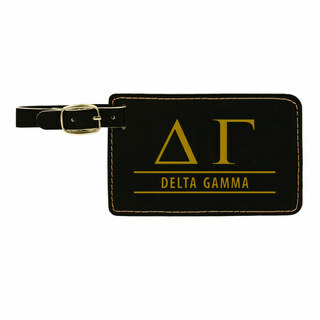 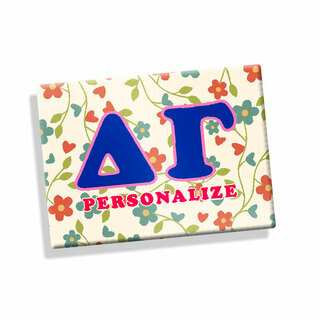 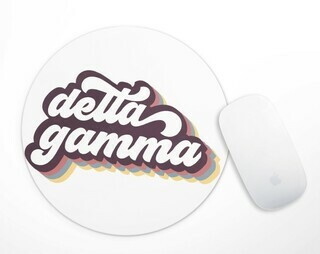 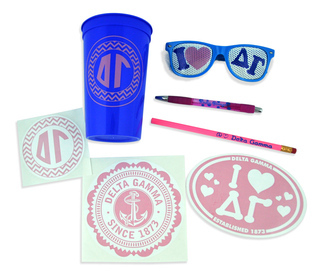 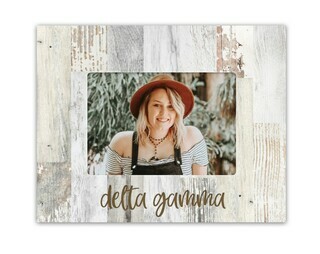 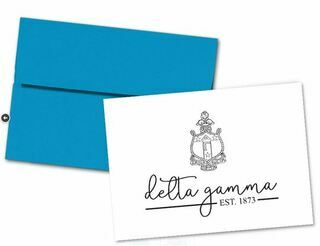 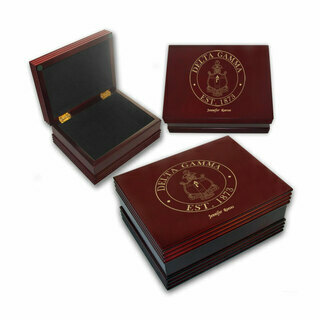 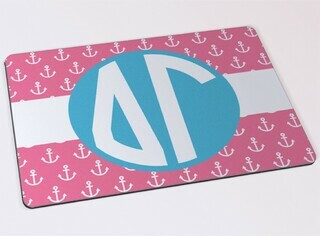 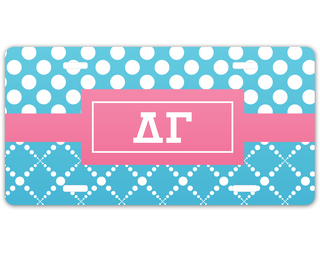 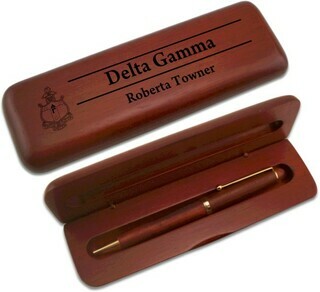 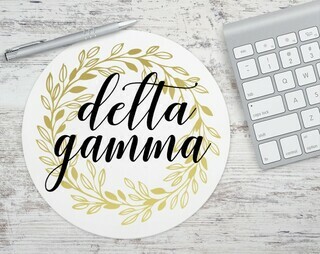 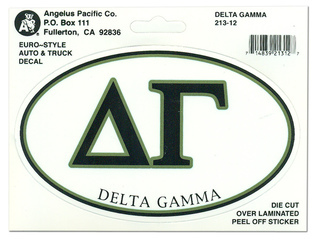 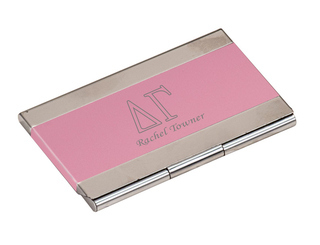 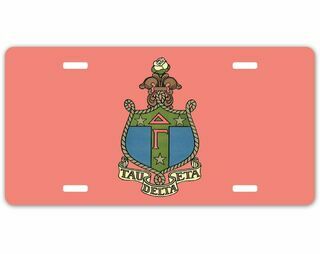 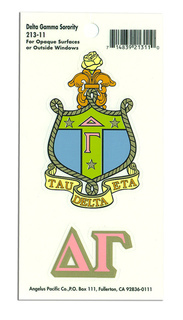 Delta Gamma note pads and stationary are great for the dorm or the office. 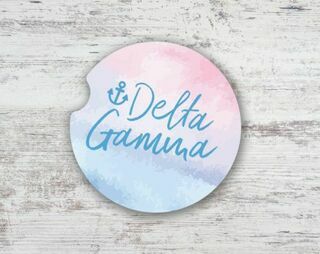 Buttons, pins and magnets that bear the letters and anchor symbol of Delta Gamma offer just the right touch at a recruiting table or a charity event. 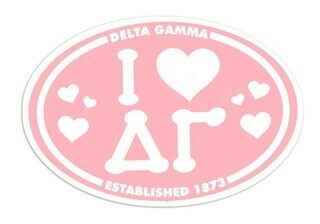 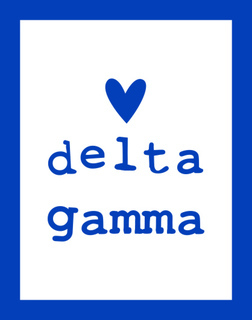 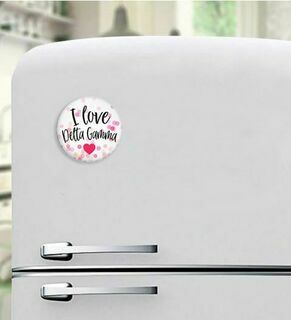 Showing pride in Delta Gamma helps to inspire other young women to strive toward the ideals the sorority was built on. 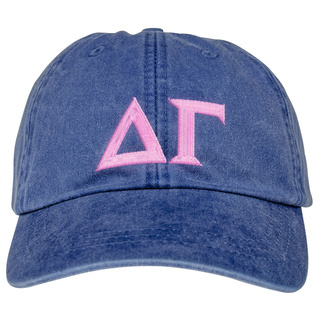 At Greek Gear, it's easy to help spread the "Do Good" message and inspire others to join the Delta Gamma sisterhood that lasts long after the graduation caps fall to the ground. 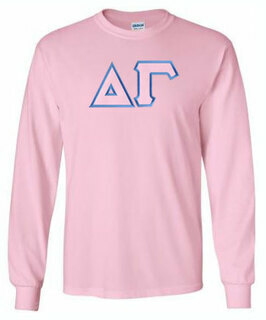 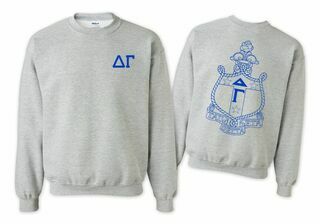 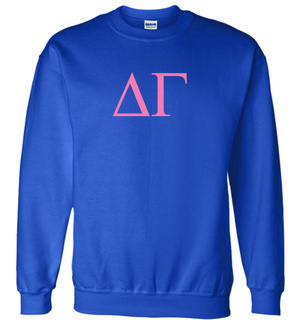 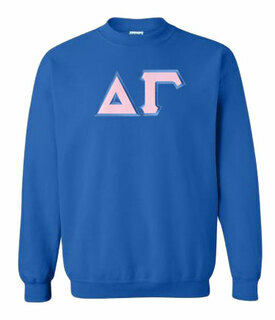 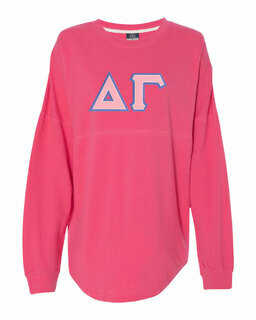 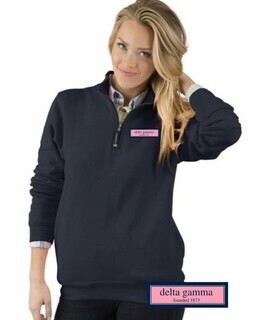 Delta Gamma World Famous Crest - Shield Crewneck Sweatshirt- $25!